Jill Margo (jillmargo.com) was long-listed for the 2013 CBC Creative Nonfiction Prize. Courtesy of Jill Margo The author in character. I’m not a furvert but I do have a thing for faux fur and always wanted to be a mascot. In the ’90s, I applied to be a mall Easter bunny but didn’t get an interview because I was too tall for the costume. 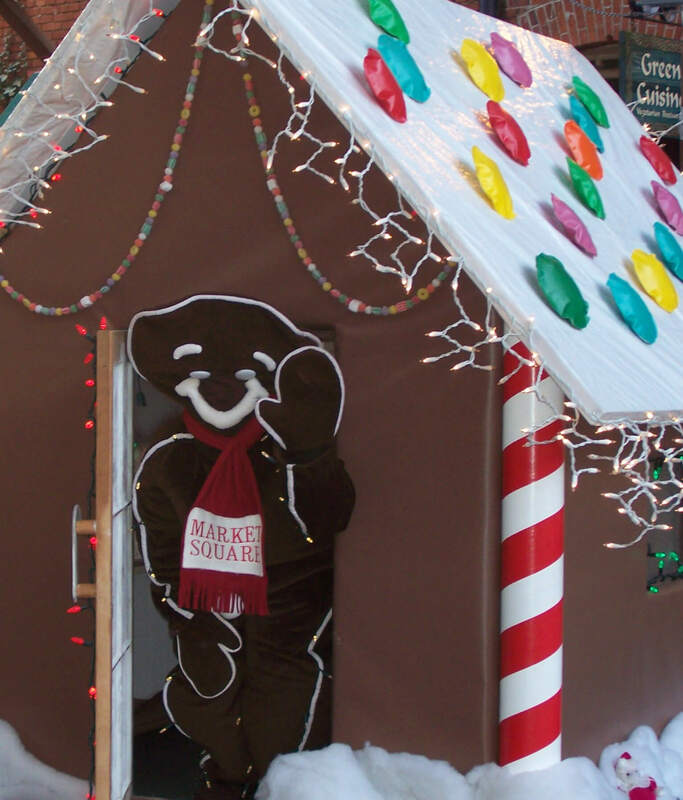 Years later, I dropped by Market Square, an open-air shopping centre in Victoria, BC where my aunt Janet works as the marketing manager, and noticed a gingerbread man costume hanging in the supply closet. Hoping for the leverage that comes with nepotism, I asked if she’d hire me to wear it for the holiday season. Because my aunt is the same person who recently tried to convince her six-foot-nine, twenty-one-year-old son to become a YouTube sensation by pole dancing in jorts and a crop top, I got to check that dream off my bucket list. That was eight months after the man I loved had done something else with a bucket: kicked it. There’s a meme going around the internet right now featuring the German word kummerspeck which means “excess weight gained from emotional overeating.” It translates literally as “grief bacon.” Instead of gaining grief bacon poundage, I became a grief cookie. Of course, I wasn’t hired to bum people out so the grief part remained hidden in the space between me and the costume. And it wasn’t just grief—it was that stage we-don’t-have-a-name-for. The stage that comes after bereavement, the one in which you wonder: Who am I now after this death? So yeah, “How to Become a Mascot” is mostly a true story and even when it’s not literally true it’s still emotionally true. A few tweaks here and there and it could’ve been called creative nonfiction. No matter how I felt, it didn’t stop Ginger-B from getting up to all sorts of shenanigans. I mostly kept the job a secret, but I confess, Ginger-B took liberties when he ran into people I knew. Like the time, as described in the story, Ginger-B goosed my friend Jordan’s bum—at least I had remembered it as Jordan’s bum. I just sent him a message to confirm the facts. A random question for you: was it your bum that I grabbed in 2007 while wearing a gingerbread man costume somewhere around Government Street? Does that ring any bells? I think I’d remember that, so, unfortunately no. However this is the best Facebook message I have ever received. What can I say . . . when wearing the costume it was hard to see (the part in the story about accidentally giving candy to a dwarf instead of a kid is true). To the random father whose arse I squeezed: I hope you enjoyed being groped by a large baked good. Also, thanks for not reporting me for sexual harassment. Ginger-B and Mr. Floatie both had a base of brown fun fur, but Ginger-B was a festive biscuit with white piping and Mr. Floatie was a huge turd in gumboots and a sailor’s cap who advocated for a proper sewage treatment plant for Victoria (they really do need one). I hated being called Mr. Floatie. A couple hundred people clapped and cheered. I had no choice. Ginger-B ran up to the stage like Johnny from the Price Is Right had just told him to “C’mon down.” When my aunt came back a few minutes later Ginger-B was doing a hula dance to “Proud Mary” on stage while I tried not to toss my cookies. There is one part of “How to Become a Mascot” that diverges significantly from real life: the ending. While Ginger-B did indeed cruise the bakery at the Market on Yates, neither of us liberated a gingerbread cookie couple and took off running. That person running was made-up, but that’s where I imagine the then-me now. It’s oddly comforting to know that she is still out there, safe inside a plush cookie, tearing up the streets.